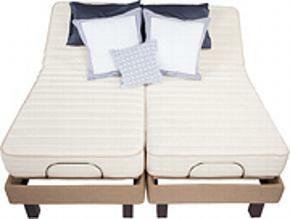 The Comfort Direct Adjustable Bed Mattress is a no turn mattress. 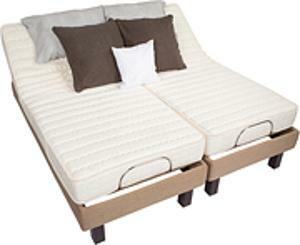 These mattresses feature foam encased, pocketed coil spring units. Pocketed coil spring units are considered far superior to standard coil spring units. 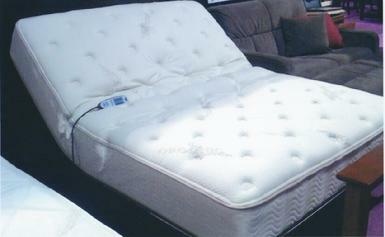 They are hassle free no-turn mattresses and are available in firm or plush. 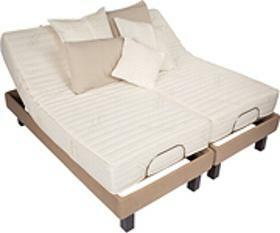 The Electropedic PC Mattress is the first foam encased pocketed coil innerspring mattress made exclusively for adjustable beds using the Leggett 609 spring unit. Built two sided, it will last twice as long as a no turn mattress. They are available in firm or cushion-firm. Our best selling mattress is made with the finest Talay latex available. Built on a six inch core with one inch of softer latex top and bottom, this mattress offers everything you need in a mattress - Comfort, Support and Muscle Cushioning! Available in four firmnesses. Made with the finest Talay latex available. 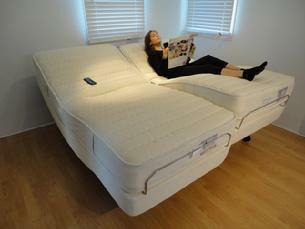 The Electropedic Latex Mattress is perfect for those who want a firmer mattress without sacrificing comfort. Because is contours perfectly to the base, this is also the perfect mattress for those whole must have their head and feet highly elevated. Available in four firmnesses. With a "Gols" Certified Latex Core and "Gots" Certified Organic Ticking, our organic latex mattress is designed with your health and comfort in mind. Inspired by the earth, our Certified Organic Mattress is "Eco-Friendly", utilizing organic, natural and renewable materials that minimize impact on the environment. Available in three firmnesses.